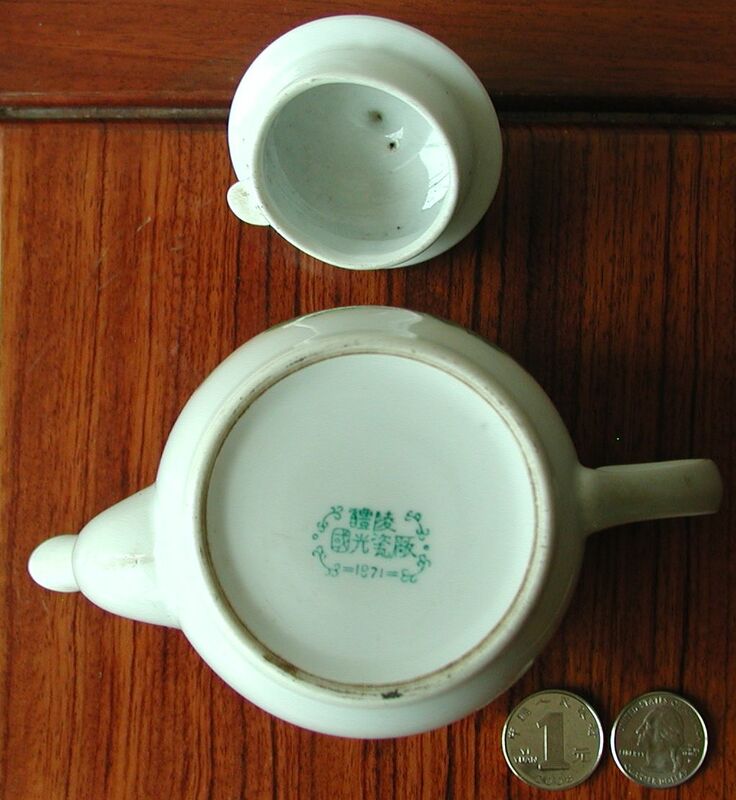 This Cultural Revolution teapot is an interesting and unusual size - about a cup and a half capacity, which could in retrospect could have been seen as promoting individualism by actually allowing individuals to determine the amount or type of tealeaves to use, rather than submitting themselves to the will of the masses and using a communal teapot. The idyllic scene is one of a village with small factory and mountains in the background. The cover is inscribed, 'The East is Red'. The teapot is 11.5cm (4.5 inches) high. The cover has a small chip on the knob, otherwise there are no imperfections. 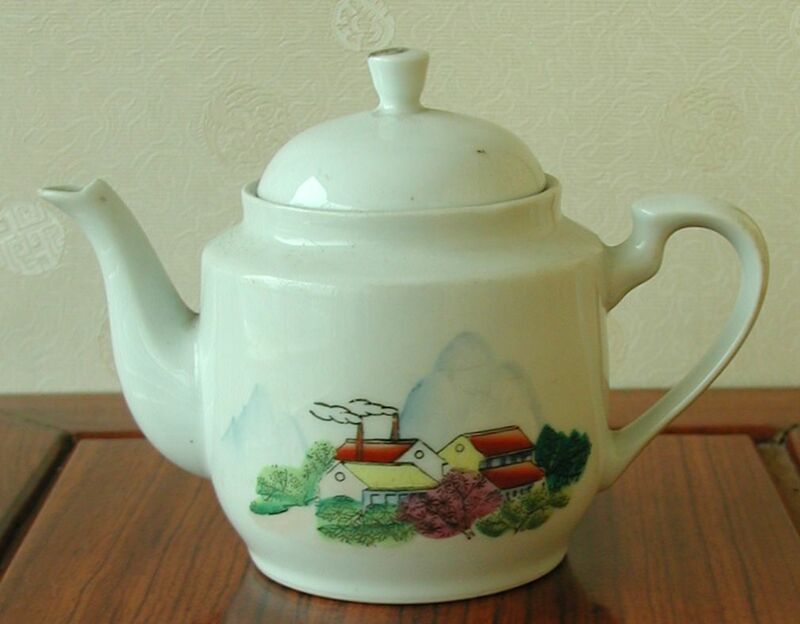 It was manufactured in 1971 by the Li Ling Guo Guang Ceramic Factory.